Change is a constant feature of UK waste policy. Since the publication in 2000 of the Waste Strategy for England and Wales, significant changes, largely driven by EU waste laws, have been made to how waste is produced and disposed of in the UK. Building on the gains of the 2000 policy and the subsequent 2007 Waste Strategy for England, Defra published in 2013 a new Waste Management Plan for England. Wales, Scotland, and Northern Ireland also have equivalent waste strategies. 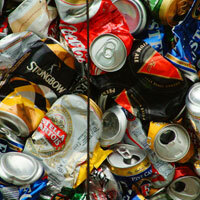 (View links to Welsh, Scottish and Northern Irish waste strategies). This section provides a snap shot of the key features of current UK waste policies with specific focus on England and Wales. The UK-wide policies on waste are built on an EU concept known as the waste hierarchy. The waste hierarchy requires anyone managing waste to consider first prevention, preparing for reuse and recycling followed by other methods of recovery, for example energy recovery and, lastly, disposal. Prevention, preparing for reuse and recycling should be given priority order in any waste legislation and policy. Based on the waste hierarchy, a key objective of government policy is to reduce the level of waste going to landfill and to get people to recycle more. The Environmental Permitting (England and Wales) Regulations 2010 and Landfill Allowance Scheme (Wales) impose restriction on the type and amount of waste that can be disposed of in landfills in England and Wales. Scotland and Northern Ireland also have similar landfill regulations. The government's objective is to make it easier for people and organisations to recycle more more. Several measures have been put in place to encourage the general public to consider waste as a resource and adopt a recycle and reuse culture. For example, the Welsh Government introduced a 5p charge for single use carrier bags in 2011. In October 2015, the UK government introduced a 5p charge for single use plastic bags handed out by large retailers in England. These policies aim to encourage people to reuse their shopping bags, and to reduce waste and littering. The amount of waste produced by industries and businesses around the UK is quite high. The UK waste policy aims to reduce the amount of waste produced by the commercial sector. Different policy changes have been made to get businesses and industries to reduce waste. For instance, the Producer Responsibility Obligations (Packaging Waste) Regulations 2007 place responsibility on the producers of packaging waste to recover and recycle a certain amount of packaging. They are also required to design their products in such a way that encourages easy dismantling and recycling at the end of the products' life cycle. Similar producer responsibility laws cover Waste Electrical and Electronic Equipment (WEEE), End of Life Vehicles and batteries by requiring producers to recover a certain amount. Laws affect the way that hazardous waste can be disposed of in England and Wales. (Scotland and Northern Ireland have equivalent regulations.) Although it may still be possible for individual householders to dispose of a small quantity of hazardous waste in the normal waste collection, larger amounts have to be disposed in specially-managed waste facilities. It is not possible to dispose of hazardous liquid waste, batteries, whole and shredded tyres in landfills in the UK. The Environment Agency provides guidance on what to do if you produce, move, receive or dispose of hazardous waste. UK waste policy also aims to reduce the amount and level of hazard of wastes produced in the first place. UK waste policies operate on the basis of "shared responsibility." Everyone generates some amount of waste, so everyone has a part to play in preventing further waste growth. All parts of society also have a responsibility to reuse, recycle and dispose of waste properly.